Summer is my favorite season — long days, sultry nights, sunshine, bright colors, sand, surf, eating outdoors, what's not to love? Sure, the crazy heat, suffocating humidity and daily storms in Florida are kind of a bummer, but it's a give and take! 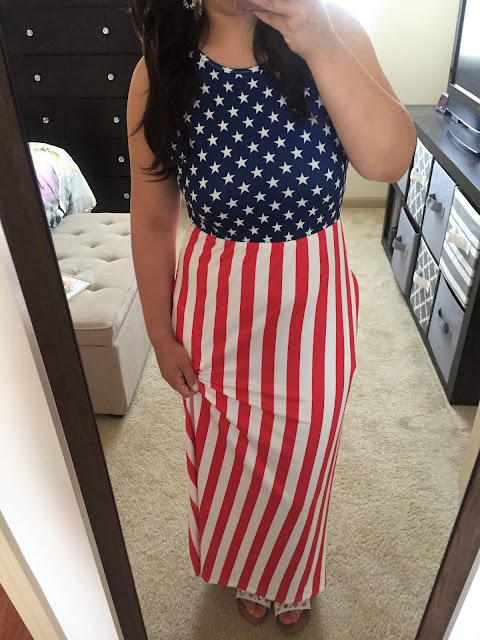 It's also the most patriotic time of the year with Memorial Day, Fourth of July and Labor Day to celebrate, which means plenty of occasions to sport one of my favorite color combos: red, white and blue. There's nothing quite like an American summer and of all the teams I root for, my favorite by far is Team USA. 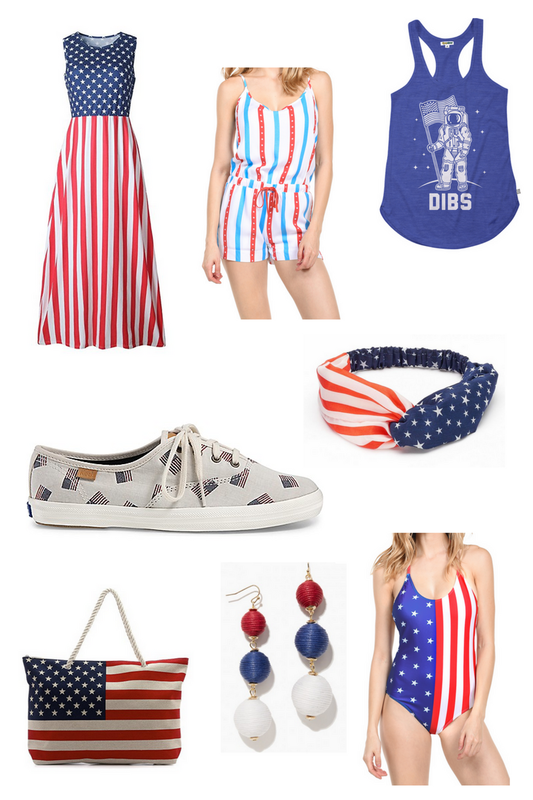 Right before summertime begins, I'm usually on the hunt for some American flag-inspired pieces to add to my wardrobe. You can also find some great deals post-Fourth of July as retailers prepare for fall. This stars and stripes maxi dress is my current favorite (plus, it has pockets)! Shop it and my other favorites below!